This Policy applies to our operating divisions, subsidiaries, affiliates, and branches, and any additional subsidiary, affiliate, or branch that we may subsequently form. The types of Personal Information we collect and our privacy practices depend on whether you are a customer, user, visitor or employee and the requirements of applicable law. Transaction Details. If you make a transaction using the Service, we record the status of the transaction, information about the recipients, your memo (which is not visible to third parties), amount, and additional technical details. We also store the transaction ID that can be used as proof that a payment was made. You should be aware that some information (such as public keys or other unique identifiers) collected using blockchain technologies is stored permanently and/or publicly, and you may not be able to delete such information. 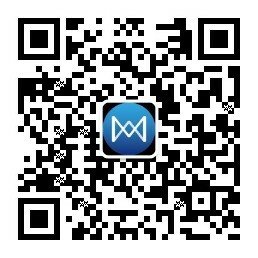 QuarkChain Community Programs. From time to time, we may offer you the opportunity to share or promote your interest in our Services on our Site and/or third party sites through a variety of programs in accordance with applicable law. You should read the privacy policies, platform rules and program terms carefully to understand the information we and other third parties collect, use and share about you and your rights and obligations. Some programs require us to validate your identity and may require name, email, phone number, country of residence and physical address, proof of address, nationality, government issued ID, tax identifier, social network IDs, amount of QKC and program points, languages you speak, your date and place of birth and similar data. If you have any questions, please contact us as described below. Communications with Us. We may collect Personal Information from you such as email address, phone number, or mailing address when you request information about our Services, register for our newsletter or loyalty program, request customer or technical support, or otherwise communicate with us. Surveys. We or our third party service providers may contact you to participate in surveys. If you decide to participate, you may be asked to provide certain information which may include Personal Information. Posting. We may offer forums, blogs, or social media pages. When you use these sites and disclose information about yourself, your personal information is collected by us and the third party sites. Depending on the site and your settings, content you provide on these channels may be considered “public” and may not subject to privacy protections. We are not responsible for the privacy practices of third party sites. Automatic Data Collection. We may collect certain information automatically when you use the Services. This information may include your Internet protocol (IP) address; user settings; IMEI; MAC address; cookie identifiers; mobile carrier; mobile advertising and other unique identifiers; details about your browser, operating system or device; location information; Internet service provider; server log information; date, time and pages/features that you visited/requested before, during and after using the Services; information about the links you click and other information about how you use the Services. If you use any of our open source software, we may collect telemetry information such as bandwidth upload and download speeds, the amount of free and used storage space on your device and other statistics about your device. If you use our Site, we will collect metadata about the files you upload for storage, and we will record instances in which you have used your private key to authenticate communications. Information we collect may be associated with accounts and other devices. Information from Other Sources. We may obtain information about you from other sources, including through third party services and organizations to supplement information provided by you. Information we collect through these services may include your name, your user identification number, your user name, location, gender, birth date, email, profile picture, and your contacts stored in that service. This supplemental information allows us to verify information that you have provided to us and to enhance our ability to provide you with information about our business, products, and Services. Detect security incidents, protect against malicious, deceptive, fraudulent, or illegal activity, and prosecute those responsible for that activity. De-identified and Aggregated Information Use. We may use Personal Information and other information about you to create de-identified and aggregated information, such as de-identified demographic information, de-identified location information, information about the computer or device from which you access our Site and Services, or other analyses we create. Sharing Content with Friends or Colleagues. Our Site and Services may offer various tools and functionalities. For example, we may allow you to provide information about your friends through our referral services. Our referral services may allow you to forward or share certain content with a friend or colleague, such as an email inviting your friend to use our Services. Email addresses that you may provide for a friend or colleague will be used to send your friend or colleague the content or link you request, but will not be collected or otherwise used by us or any other third parties for any other purpose. Analytics. We may also use Google Analytics and other service providers to collect information regarding visitor behavior and visitor demographics on our Site and Services. For more information about Google Analytics, please visit www.google.com/policies/privacy/partners/. You can opt out of Google’s collection and Processing of data generated by your use of the Services by going to http://tools.google.com/dlpage/gaoptout. The Services may contain links to other websites and other websites may reference or link to our Site or other Services. These other domains and websites are not controlled by us. We encourage our users to read the privacy policies of each website and application with which they interact. We do not endorse, screen or approve, and are not responsible for the privacy practices or content of such other websites or applications. Visiting these other websites or applications is at your own risk. Our Services may include publicly accessible blogs, forums, social media pages, and private messaging features. By using such services, you assume the risk that the Personal Information provided by you may be viewed and used by third parties for any number of purposes. Vendors and Service Providers. We may share any information we receive with vendors and service providers. The types of service providers (processors) to whom we entrust Personal Information include service providers for IT and related services, payment processing, customer service activities, and the provision of the Site and Services. Business Partners. We may provide Personal Information to business partners with whom we jointly offer products or services. In such cases, our business partner’s name will appear along with ours. Third Party Advertisers and Marketers. Through our Services, we may allow third party advertising partners to set Technologies and other tracking tools to collect information regarding your activities and your device (e.g., your IP address, mobile identifiers, page(s) visited, location, time of day). We may also combine and share such information and other information (such as demographic information and past purchase history) with third party advertising partners. These advertising partners may use this information (and similar information collected from other websites) for purposes of delivering targeted advertisements to you when you visit third party websites within their networks. This practice is commonly referred to as “interest-based advertising” or “online behavioral advertising. We may allow access to other data collected by the Site and Services to share information that may be useful, relevant, valuable or otherwise of interest to you. If you prefer not to share your Personal Information with third party advertising partners, you may follow the instructions below. General. You have the right to object to or opt out of certain uses of your Personal Information. Where you have consented to the Processing of your Personal Information, you m ay withdraw that consent at any time and prevent further Processing by contacting us as described below. Even if you opt out, we may still collect and use non-Personal Information regarding your activities on our Site, Services or for other legal purposes as described above. Mobile Devices. We may send you push notifications through our mobile application. You may at any time opt-out from receiving these types of communications by changing the settings on your mobile device. We may also collect location-based information if you use our mobile applications. You may opt-out of this collection by changing the settings on your mobile device. Do Not Track. Do Not Track (“DNT”) is a privacy preference that users can set in certain web browsers. Please note that we do not respond to or honor DNT signals or similar mechanisms transmitted by web browsers. Cookies and Interest-Based Advertising. You may stop or restrict the placement of Technologies on your device or remove them by adjusting your preferences as your browser or device permits. The online advertising industry also provides websites from which you may opt out of receiving targeted ads from data partners and other advertising partners that participate in self-regulatory programs. You can access these, and also learn more about targeted advertising and consumer choice and privacy, at www.aboutads.info/choices/, www.networkadvertising.org/managing/opt_out.asp, http://www.youronlinechoices.eu/ and https://youradchoices.ca/choices/. To separately make choices for mobile apps on a mobile device, you can download DAA’s AppChoices application from your device’s app store. Alternatively, for some devices you may use your device’s platform controls in your settings to exercise choice. Please note you must separately opt out in each browser and on each device. Advertisements on third party websites that contain the AdChoices link may have been directed to you based on information collected by advertising partners over time and across websites. These advertisements provide a mechanism to opt out of the advertising partners’ use of this information for interest-based advertising purposes. request erasure of Personal Information held about you by us subject to certain exceptions prescribed by law. The Site and Services are not directed to children under 13 (or other age as required by local law), and we do not knowingly collect Personal Information from children. If you learn that your child has provided us with Personal Information without your consent, you may contact us as set forth below. If we learn that we have collected any Personal Information in violation of applicable law, we will promptly take steps to delete such information and terminate the child’s account. The following section applies to our Processing in the context of human resources, recruitment, and applicant consideration. We collect Personal Information from current, prospective, and former employees, their contact points in case of a medical emergency, and dependents and beneficiaries under any insurance or other similar policy (“Human Resources Data”). The Human Resources Data we collect may include title, name, address, phone number, email address, date of birth, passport number, driver’s license number, Social Security number or other government-issued identification number, financial information related to credit checks, bank details for payroll, information that may be recorded on a CV or application form, language abilities, contact information of third parties in case of an emergency and beneficiaries under any insurance policy. We may also collect sensitive Human Resources Data such as details of health and disability, including mental health, medical leave, and maternity leave; information about national origin or immigration status; and optional demographic information such as race, which helps us achieve our diversity goals. We will use Personal Information we collect for Human Resources activities only for employment-related purposes as more fully described above. If we intend to use this Personal Information for any other purpose, we will notify the individual and provide an opportunity to exercise their rights under applicable law. “Personal Information” is any information relating to an identified or identifiable natural person according to applicable law. “Process” or “Processing” means any operation which is performed upon Personal Information, whether or not by automatic means, such as collection, recording, organization, structuring, storage, adaptation or alteration, retrieval, consultation, use, disclosure by transmission, dissemination or otherwise making available, alignment or combination, restriction, erasure, or destruction according to applicable law. support@quarkchain.org or QuarkChain, Attn: Privacy Office, 4151 Middlefield Road, Suite 100C, Palo Alto, California 94303. The QuarkChain family of companies includes: QuarkChain Foundation LTD and QuarkTech LTD.